Tesla is the carmaker owned by entrepreneur/visionary Elon Musk. Today the company is worth over fifty billion dollars, although it didn’t turn a profit ever since its foundation. 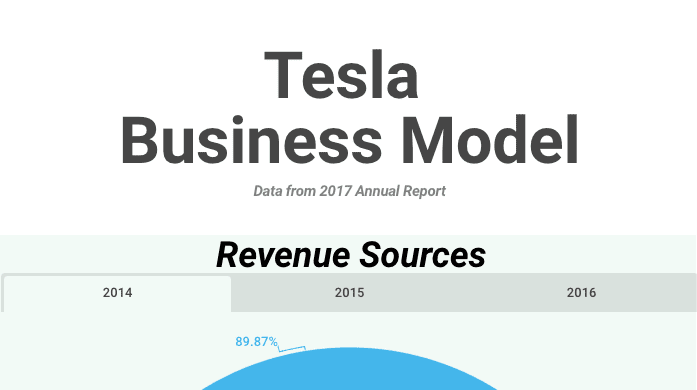 Tesla’s case study is quite interesting because it poses a few vital question about how the market values companies. In fact, the Tesla case study opens up a few interrogatives. First, how a company that for the traditional financial standard would be bankrupt still manages to be alive and be valued at over fifty billion dollars. Second, how can we learn to evaluate tech, innovative companies with traditional accounting methods, are profitability and cash flows still the main metrics we need to focus on? Our goal is to become the best manufacturer in the automotive industry, and having cutting edge robotic expertise in-house is at the core of that goal. Our recent acquisitions of advanced automation companies have added to our talent base and are helping us increase Model 3 production rates more effectively. We don’t want to simply replicate what we have built previously while designing additional capacity. We want to continuously push the boundaries of mass manufacturing. 2018 will be a transformative year for Tesla, with a high level of operational scaling. As we ramp production of both Model 3 and our energy products while keeping tight control of operating expenses, our quarterly operating income should turn sustainably positive at some point in 2018. The automotive as of 2016 represented almost 80% of its annual revenues. Back in 2014, it was over 89%. In fact, the other three segments (leasing, services and energy generation and storage) have improved consistently since 2014. The income from operations grew from 2014 to 2016. Also, the cash flows from investing and operations are negative; while most of Tesla’s cash comes from financing activities due to the increase in long-term debt. In fact, as of 2016 Tesla balance sheet shows a long-term debt of almost six billion dollars. Also, as of 2016 US is the country that drives most of Tesla’s revenues. Tesla is using its car leases as collateral for a big $546 million loan as it turns to debt markets to raise additional cash to combat the blistering burn rate of its auto and energy business, according to multiple reports. Musk is famous for his unconventional stunts. For instance, the stunts of the flamethrowers or the Tesla roadsters sent on space managed to reach hundreds of millions of people worldwide without a dollar spent on ads. However, this also fueled the myth that Tesla doesn’t spend a dollar on advertising campaigns. Is it true that Tesla didn’t spend a dime on advertising? Marketing, promotional and advertising costs are expensed as incurred and are included as an element of selling, general and administrative expense in our Consolidated Statements of Operations. We incurred marketing, promotional and advertising costs of $48.0 million, $58.3 million and $48.9 million for the year ended December 31, 2016, 2015 and 2014, respectively. Thus, even though the former PayPal Mafia member Elon Musk is the master of unconventional PR, Tesla still needs advertising to push its sales. In fact, viral marketing might work for low-priced products. But I’m not sure about its effectiveness when it comes to complex transactions like purchasing an electric car. If we look at the numbers, Tesla seems to be on the edge of bankruptcy. Yet its market capitalization has kept growing since its IPO back in On June 29, 2010; Tesla Motors Incorporated launched its IPO on the Nasdaq exchange. It offered 13.3 million shares at a price of $17 per share. At the time of this writing, Tesla is listed for 335.49 (almost twenty times higher). That means if you invested a single dollar on Tesla back in 2010 you would have now nearly $20 in your pocket. Does it mean Tesla market capitalization will keep growing? As Elon Musk admitted in Tesla’s letter It will all depend on the company’s ability to reach profitability in the next future!